A joint production of ABC News and People magazine, this program highlights the big stories in pop culture, entertainment, lifestyle, human interest, and news features to bring viewers up to speed on what they may have missed. IN addition, viewers get an exclusive sneak peek at the top stories people will be talking about in the week ahead. 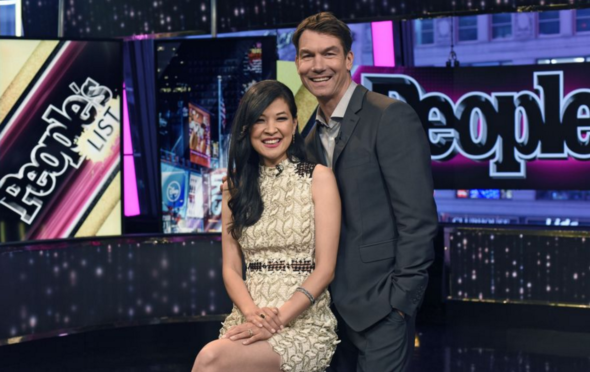 Hosted by actor Jerry O’Connell and former MTV news correspondent SuChin Pak, this show also features reporting from a team of entertainment insiders to bring a unique perspective to the notable headlines of the week. Officer Tommy Norman: The 43-year-old patrol officer is using social media to change how people view police during these tense times. His videos, pictures and inspirational words have garnered him more than one million followers, and “People’s List” went to North Little Rock, Arkansas, to find out what inspired Tommy to start sharing his work.Tony Robbins: The billion-dollar businessman and life coach to the stars sits down with “People’s List” to discuss his new Netflix documentary and answer some of his own Power Questions. JFK, Jr., Documentary: Saturday marks 17 years since John F. Kennedy, Jr.’s, tragic death, and Spike is out with a new documentary about his life and legacy. “People’s List” gets a sneak peek. First aired: July 16, 2017. What do you think? Do you like the People’s List TV show? Do you think it should have been cancelled or renewed for a second season? The stories are interesting but the hosts are annoying. Sorry, it would be a good show to watch but Jerry O’Connell is too silly to watch for that much time. He needs to stand still and quit fidgeting all the time. Be a bit more serious and those faces he makes are just to much. I won’t watch because of this. He acts more like a 10 year old ADD boy. He’s not funny just way to silly.